Vijay Deverakonda and Shalini Pandey’s Arjun Reddy has emerged as the big money spinner at the box office in three days. The movie which was released on 25th August is still continuing. 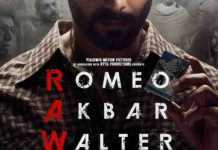 Right from common people to the celebrities are going gaga for this film. 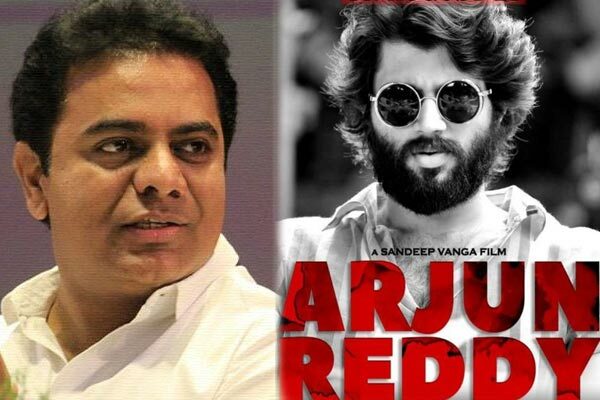 After completing the special show, KTR was all in praises for the entire team especially director Sandeep Reddy Vanga, producer Pranay Reddy Vanga and actor Vijay Devarakonda. Everyone knows that Telangana state’s Minister of IT & Municipal Administration KTR loves to watch Telugu movie and never fails to appreciate good movies via his Twitter pages. Recently he appreciated Varun Tej and Sai Pallavi’s Fidaa and When a film is centered on showcasing the beauty in Telangana language or tradition, IT Minister KTR always leads its promotions from the front. After encouraging Fidaa to go higher level in its success heights now he took off some time to watch recently released Arjun Reddy Movie. Today morning KTR took to Twitter and wrote, “Raw. Intense. Honest. Original. Bold. Gutsy. Risqué #ArjunReddy, Kudos to Sandeep Reddy & Pranay, Vijay Devarakonda you’re a Rockstar.” After hearing these words, entire Arjun Reddy team is on cloud nine. Kudos to Sandeep Reddy & Pranay? Vijay Devarakonda you’re a Rockstar? Arjun Reddy Movie film was written and directed by Sandeep Reddy Vanga, produced by Pranay Vanga for Bhadrakali Pictures. The soundtrack is composed by Radhan.